Mutualink unveils its Wearable Smart Gateway that is designed to let public-safety users securely connect multiple wearable or carried monitors and devices into a lightweight hub powered by Intel’s Edison chip that was developed specifically for Internet of Things (IoT) applications. With the Wearable Smart Gateway, myriad devices—from biometric sensors to body-worn cameras—can be connected via wire, Bluetooth or Wi-Fi with a paired public-safety user at the lightweight device, according to Mike Wengrovitz, Mutualink’s vice president of innovation. Information stored at the gateway can be shared directly in close proximity via the secure Bluetooth or Wi-Fi links to enable on-scene collaboration, he said. 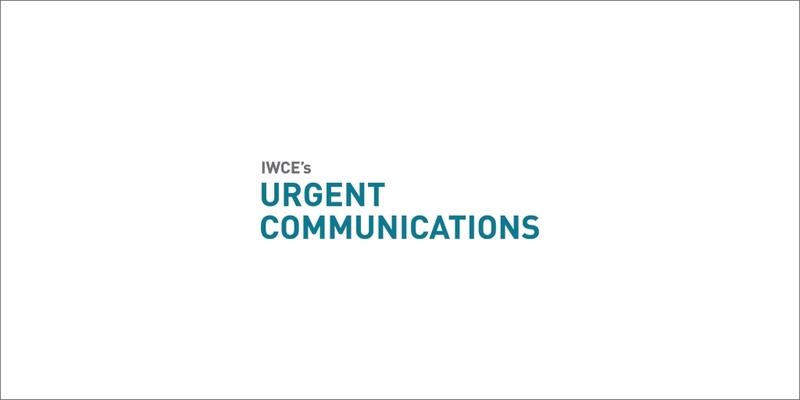 “We basically shrunk down the servers that we use for collaboration now and made them postage-stamp sized—and, by the time you put a battery in it, they become palm sized,” Wengrovitz said during an interview with IWCE’s Urgent Communications. “We took all of the data from all of those things that you were wearing, carrying or were nearby on one side [of the wearable gateway], and on the other side, they telemeter back through a secure tunnel to a command post. If the command post is located further away from the scene, data in the gateway still can be shared via a link to a Band 14 LTE device—functionality that recently was trialed successfully with rugged Sonim handheld devices to support public safety during the annual Urban Shield exercise in California and the International Balloon Fiesta in New Mexico, Wengrovitz said. Mutualink also is in the process of supporting daisy-chain functionality that will let users link to each other initially to reach an LTE or other wide-area network when located in a facility or structure that lacks such connectivity directly. In addition to providing basic connectivity, the Wearable Smart Gateway—showcased at the IACP show in Chicago—can detect beacons that are expected to help provide more accurate location information inside buildings or other structures, where GPS location technology typically is not effective, Wengrovitz said.